I was truly SO honored and excited to get to host a recent baby shower for my sweet friend, Shell. She’s having a girl (yay! ), and her name is Avaline (Ay-vuh-line). Avaline is named after Shell’s granny who is 93 years old. Is that the sweetest or what?! And, I’m going to get to be there when she’s born! To say I’m oozing with joy and excitement would be an understatement. 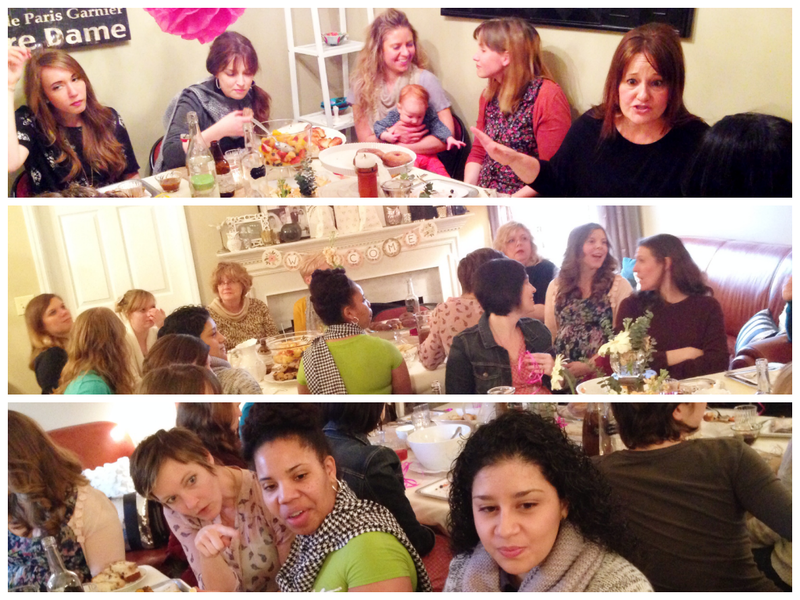 :) I was blessed to partner with five other awesome women to host this baby shower extravaganza for Shell and Avaline. 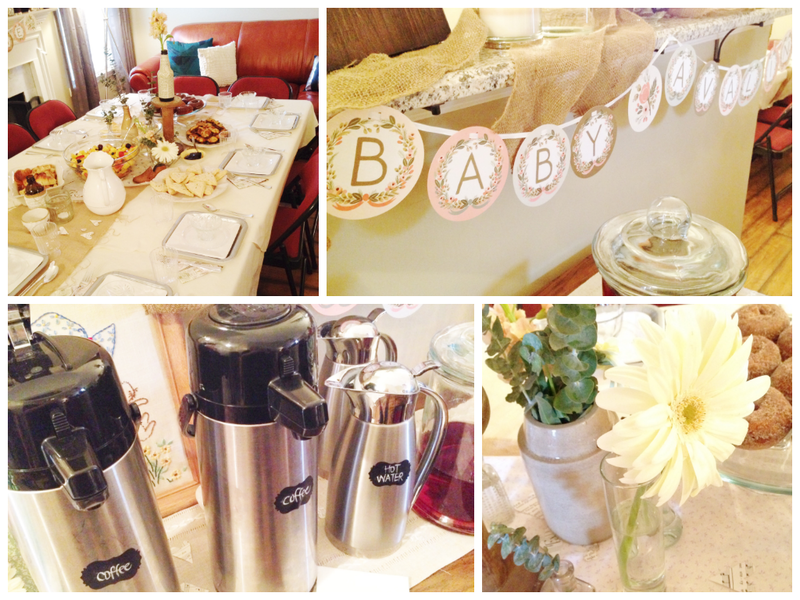 We determined that we wanted to do something vintage-ish, so we went with a baby shower brunch complete with tea. Fun! I have hosted many a baby shower, bridal shower, birthday party, soiree, and the like through the years (I love parties!). However, it occurred to me that this is not the case for everyone. So, I thought it’d be a good time to hit you with some tips for hosting a baby shower. After all, spring and summer are usually baby-booming months. And, check back in during the month of February for my complete party planning checklist! Now on to some tips (click on the image below!). And now for some of the fun from Shell’s shower! 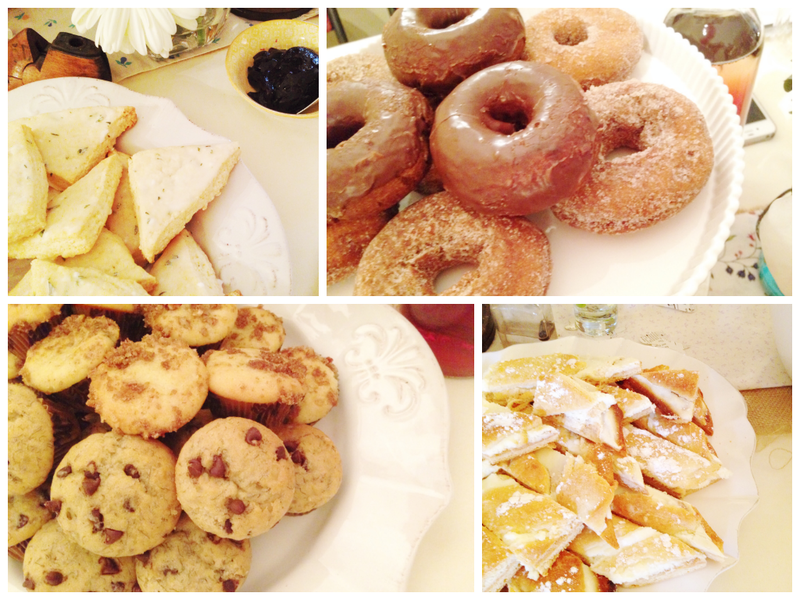 For the brunch we served scones, quiche, croissants, fruit salad, cheesecake pastry and Shell’s favorite Ellie’s Old Fashioned Doughnuts! Yep, carb, carb, carb, grain, grain, grain and fruit! ;) Because we were packing in 35 women for a sit down event in my home, we decided it would be best to display food on each of the tables, rather than do a buffet style. We also had drinks on each table, but had additional options on my credenza. There was a lot of laughter during game time, and we also provided a sweet book of blessings where each of the ladies at the shower wrote affirming words, scripture verses and motherly advice to Shell. For decorations, each of us pitched in whatever we had in our stock of vintage-styled decor, such as burlap, lace, bottles, jars, etc. We brought it all together and it looked amazing! One of the gals even bought an adorable banner from The Rifle Paper Company (love them!) with the baby’s name on it. And we finished it off with beautiful floral arrangements, courtesy of my friend Denise who is to flowers what Michaelangelo was to paint. 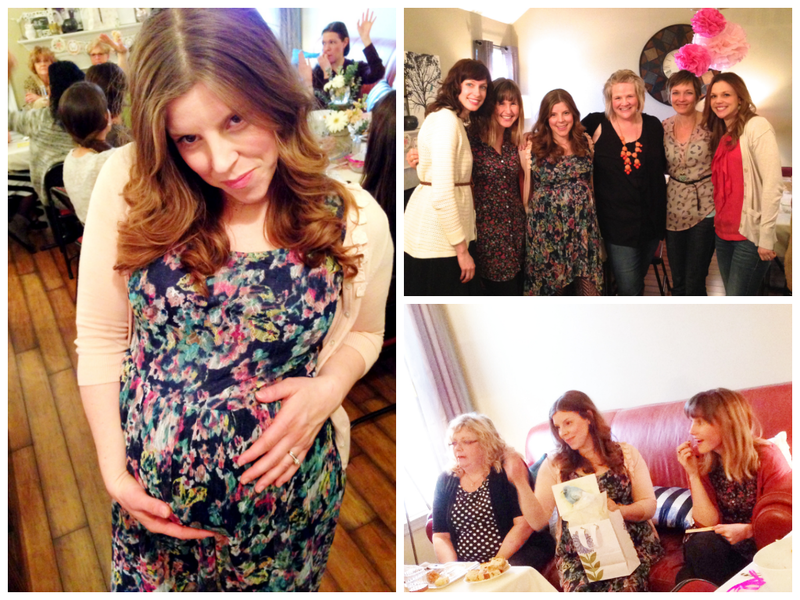 It was an absolutely lovely time celebrating our dear friend and her new little bundle!